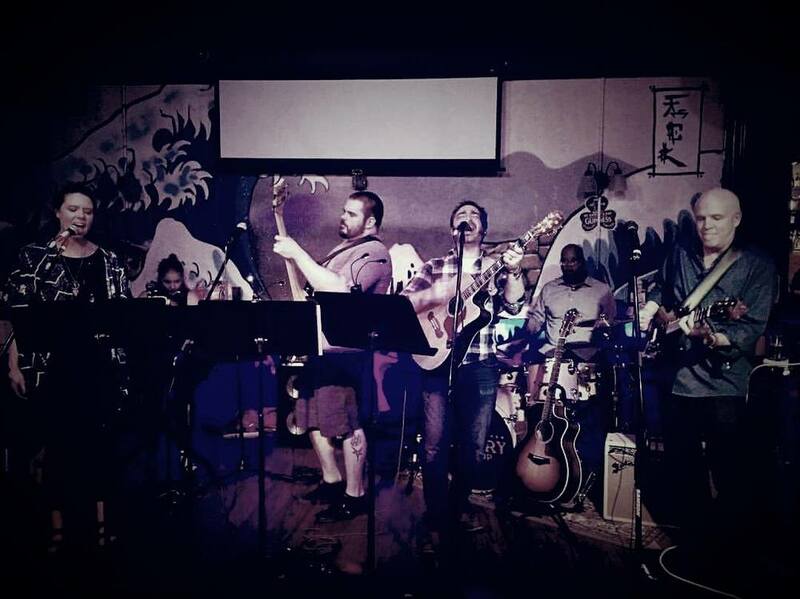 Embry is a rocking and rolling, fun loving, great sounding, cover singing sextet with a passion for great tunes the crowd can sing and dance along to. This six-piece band covers a wide gamut of sounds and songs from over 50 years of music, from CCR and Tom Petty to contemporary artists as diverse as Miley Cyrus and The Lumineers. While the band is always working to tighten its sound, delve into the realm of originals, and test new musical waters, the heart and soul of its live show experience is a passionate love for fun. No matter the set list of the moment, Embry is all about bringing smiles to faces, familiar lyrics to lips, and tapping toes to the dance floor. Besides a good batch of music and a high energy stage presence, Embry features a number of brilliant musicians, most with decades of professional music training and live experience. You can even find one of them playing in a familiar film of the past. So come check us out, follow us on Facebook if that's your thing, and raise your glass with us at any of our shows around the DC area. The Embry Group is available for bars, night clubs, concert venues, and private parties. For certain venues and events, we're able to pare down the group to a more acoustic core, such as a duo or trio for wineries, smaller private parties, and the like. We're flexible with song and special requests, but reach out to us via the Contact page for more information and to chat! We're all about the fun and the music, and you'll find us eager to join you!